Google has officially announced what we’ve known for two and a half years—Google Glass isn’t dead, the company has just been redeveloping the technology for the enterprise sector and, specifically, blue-collar manufacturing workers. Today, Google’s parent company Alphabet announced the Glass Enterprise Edition—an updated version that targets factory workers and doctors. The development of the Enterprise Edition was first reported in December 2015, thanks to a Google FCC filing. In May 2016, we got a better sense of Google’s plan thanks to someone who listed an Enterprise Edition device on eBay. There were also reports of Tesla using the headsets last year inside its Fremont factory. So the revival of Glass isn’t surprising at all. But now it’s out of hiding. Since Google discontinued the first version of Glass in early 2015, the company has given next-generation prototypes to manufacturing companies like Boeing, DHL, GE, and Volkswagen, and refined the product based on the user feedback. Now, as Glass product lead Jay Kothari wrote in a Medium post today, more than 50 companies are using the headsets. But as Google was focusing on consumers, some companies started putting custom software inside Glass and using it in ways that made their jobs easier—for instance, by guiding them through tasks so they wouldn’t have to continually reference instruction manuals. Google took notice and retooled the device specifically to the enterprise sector. Now the Enterprise Edition targets manufacturing workers and medical professionals who can use Glass to reference medical information and record and transcribe notes when they’re with patients. So that means you probably won’t be able to get your hands on a pair of Glass anytime soon—unless your company makes you use it for work. According to Levy, some Agco employees embraced the technology while others—mostly older workers—were initially skeptical. But the company is considering ways to make workers more comfortable—like installing a “bathroom bar” so people can take off their headsets before using the facilities. And therein lies the biggest concern with Glass’s next chapter. Why shouldn’t workers be wary of a company-owned device that tells them what to do and could be used to constantly monitor their work? 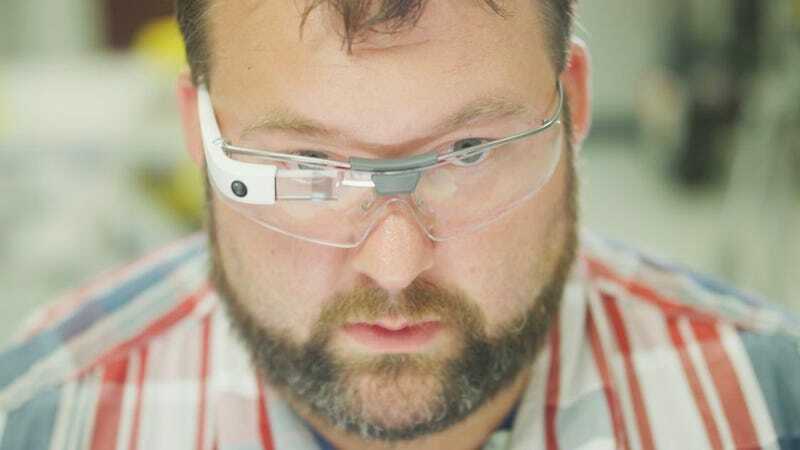 Now more businesses can see if Google Glass can help them operate safer and more efficiently. But more employees will have to get used to wearing a video monitor that catches everything they see and do.